If you are looking for a spacious condo you found it!! This LARGE 2300 sq ft condo has 3 bedrooms, 2 bathrooms and a media room in addition to the living room. The media room is furnished with a couch, a Murphy bed and a closet for additional sleeping space. Unit 505 is a west side corner unit on the 5th floor, with amazing views of the beach. The kitchen and living room have an open floor plan that is very wide, providing an abundance of space for the family to enjoy. The condo features custom drapes, plantation shutters, granite counter tops, stainless steel appliances, a full size laundry room, tile showers, crown molding, a large pantry, and fully furnished. The owner does not rent the condo, it is in excellent condition but this could make for a fabulous investment. The rental projection on file is for $70,000!! 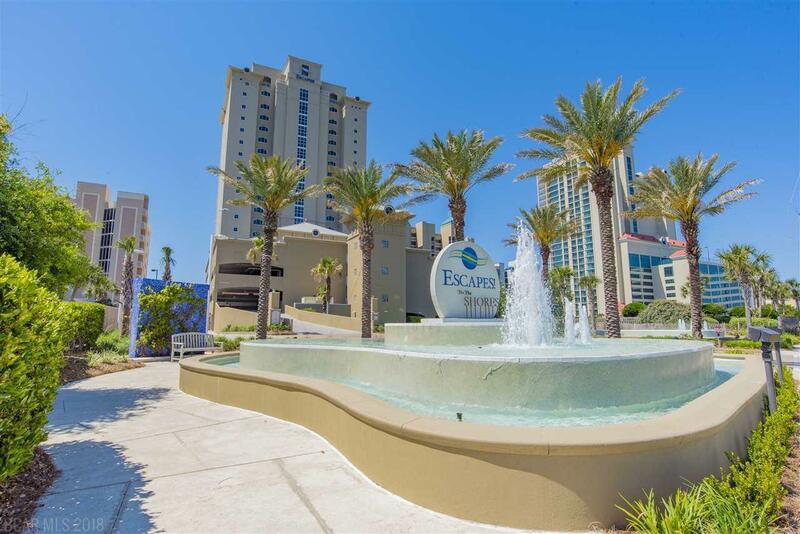 Escapes is a highly desirable rental because of all of the fabulous amenities - indoor & outdoor pool, splash pad, outdoor fireplace, outdoor kitchens with grills, exercise room and onsite management! BE SURE TO CHECK OUT THE VIRTUAL TOUR!!! Seller is offering OWNER FINANCING!